The Model-View-ViewModel quickly became the de facto standard design pattern for rich UI applications (Silverlight/WPF/Surface). 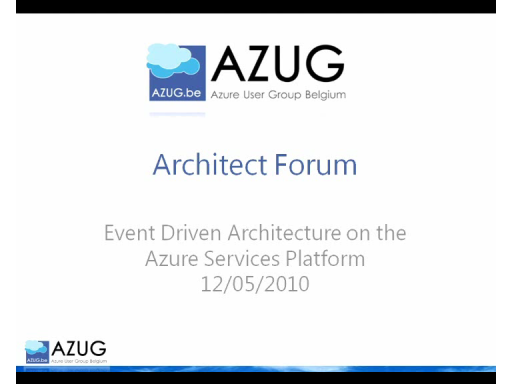 This session will dive into this design pattern: what is it? Why do you want to use it? What are the advantages? How do you implement it? 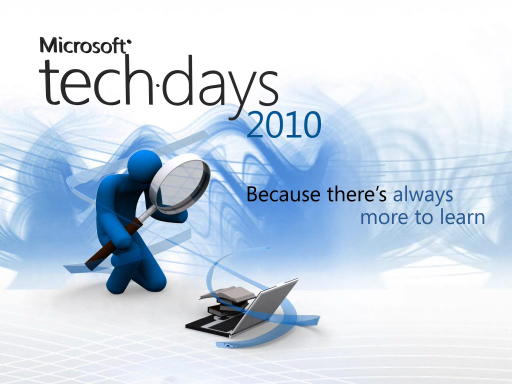 What do you need to code or use to enable it in your Silverlight applications, and which options do you have? 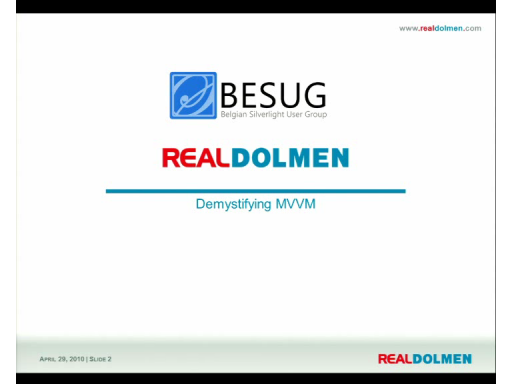 A few keywords: commanding, messaging, the locator pattern, using MEF, … After this session, you should have a thorough understanding of MVVM, and you will be able to start using it in your own projects. 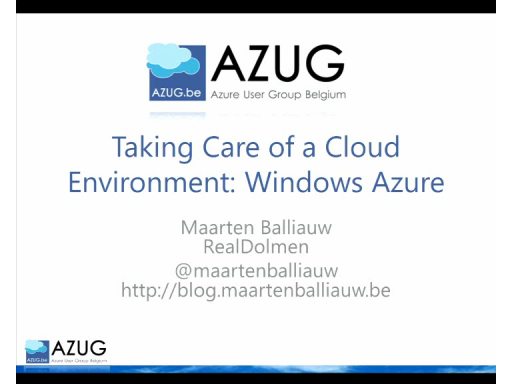 This is a recording of the Belgian Silverlight User Group (BESUG) session that took place on April 29th 2010. Slides and demos are available on Kevin’s blog.